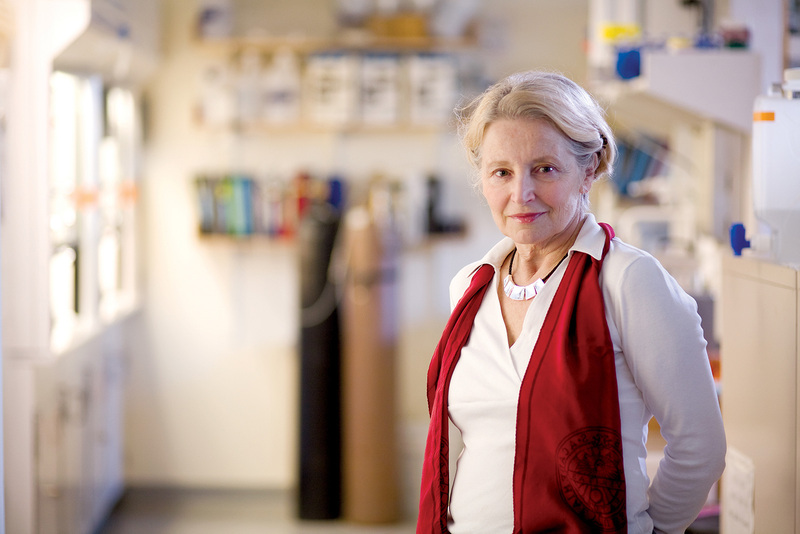 Martha Constantine-Paton studied the formation and modification of synapses – the interconnections between neurons – in order to understand how experience shapes the wiring of the brain. By studying individual neurons in the visual system of developing animals, she showed that a class of molecules known as NMDA receptors plays an essential role in setting the strengths of synapses. 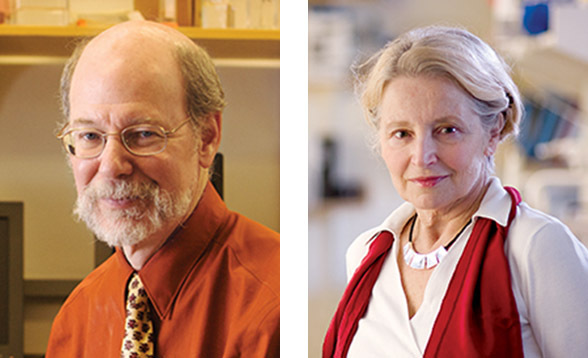 NMDA receptors are thought to underlie many aspects of learning throughout life. Constantine-Paton also examined the role these receptors play in developmental disorders that have their origins in early life. 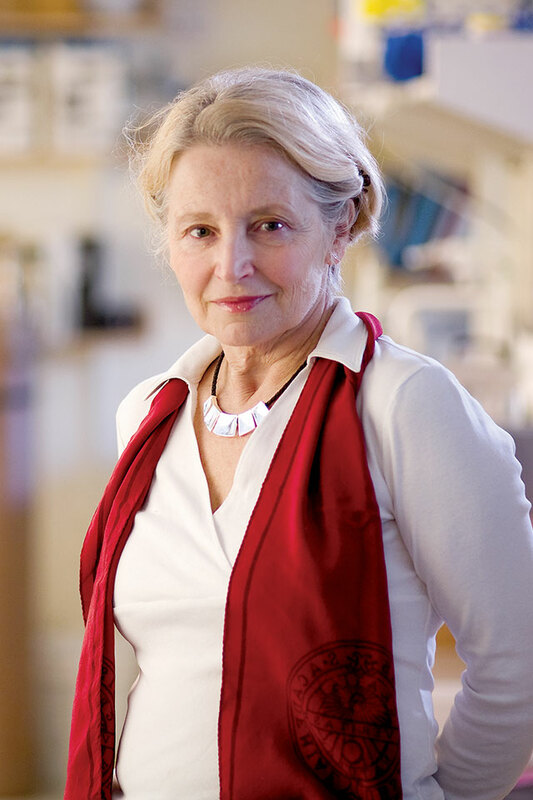 Constantine-Paton, a founding member of the McGovern Institute, is Emeritus Professor in the departments of Brain and Cognitive Sciences and Biology. 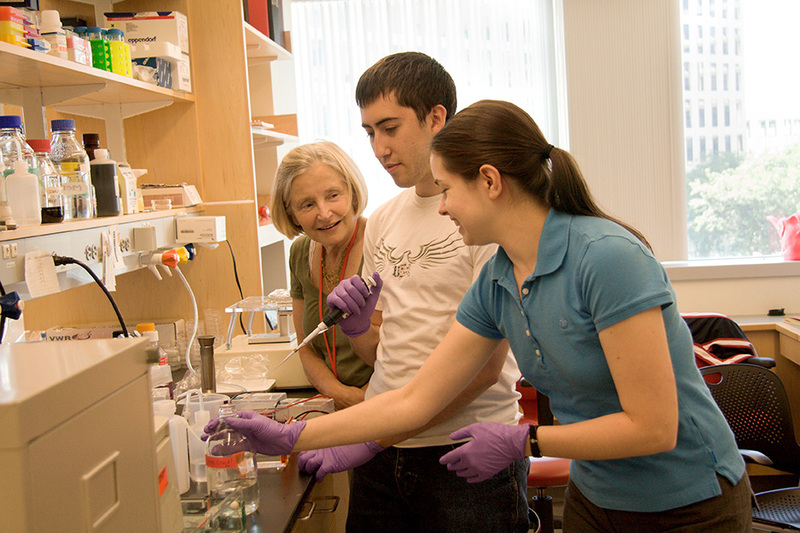 She moved to MIT in 1999, having previously held professorships at Princeton University and later at Yale University where she was director of the Interdepartmental Neuroscience Program. NMDA receptor-mediated control of protein synthesis at developing synapses. Scheetz, A.J., Nairn, A.C., Constantine-Paton, M. (2000) Nature Neuroscience 3, 211-216. Developmental loss of miniature N-methyl-D-aspartate receptor currents in NR2A knockout mice. Townsend, M., Yoshii, A., Mishina, M., Constantine-Paton, M. (2003). Proc Natl Acad Sci USA 100, 1340-1345. Eye opening induces a rapid dendritic localization of PSD-95 in central visual neurons. Yoshii, A., Sheng, M.H., Constantine-Paton, M. (2003). Proc Natl Acad Sci USA 100, 1334-1339. Bolton, AD, Constantine-Paton, M. Synaptic Effects of Dopamine Breakdown and Their Relation to Schizophrenia-Linked Working Memory Deficits. Front Synaptic Neurosci. 2018;10 :16. doi: 10.3389/fnsyn.2018.00016. PubMed PMID:29950984 PubMed Central PMC6008544. Goldberg, JL, Guido, W, Agi Workshop Participants. Report on the National Eye Institute Audacious Goals Initiative: Regenerating the Optic Nerve. Invest. Ophthalmol. Vis. Sci. 2016;57 (3):1271-5. doi: 10.1167/iovs.15-18500. PubMed PMID:26990163 PubMed Central PMC5110235. Paquin, N, Murata, Y, Froehlich, A, Omura, DT, Ailion, M, Pender, CL et al.. The Conserved VPS-50 Protein Functions in Dense-Core Vesicle Maturation and Acidification and Controls Animal Behavior. Curr. Biol. 2016;26 (7):862-71. doi: 10.1016/j.cub.2016.01.049. PubMed PMID:26948874 PubMed Central PMC4821696.